Want to get the most value out of your home air conditioning system? Want to keep it running and putting out cool air for as long as possible? Then you’ll need to keep it in good condition. This means more than calling a technician whenever you think there’s a problem. To get the most value out of your air conditioner, you need to have an air conditioning tune-up on a regular basis for your Detroit area home. 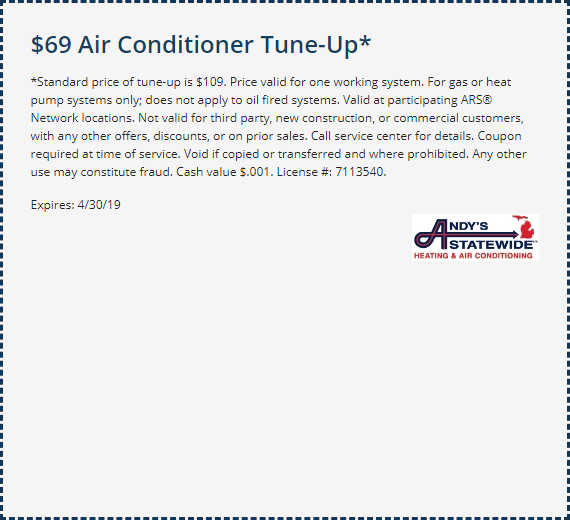 A comprehensive AC tune-up from Andy’s Statewide allows your air conditioner to run more efficiently and extend its life because it’s using less energy to keep your house cool. That’s because the technicians who visit your home inspect every part of your AC system, make repairs if necessary, and help ensure that minor problems don’t turn into big ones. But how exactly do you know whether you even need a tune-up? If you haven’t had one in at least a year, you’re due for a tune-up. If you don’t get your air conditioning regularly tuned-up, you may experience problems. Listed below are common signs that you may need air conditioning repair in Detroit, Ann Arbor, Troy and the surrounding areas. All of these are good reasons to get in touch with Andy’s Statewide. Not only can our experienced technicians identify the source of the problem for you, we can also provide you with expert air conditioning repair in Detroit, Ann Arbor, Troy, MI and the neighboring communities, at affordable prices. What’s more, all repair and installation work comes backed with the Andy’s Statewide Exceptional Service Guarantee, which means we’ll do whatever is necessary to ensure you are satisfied. 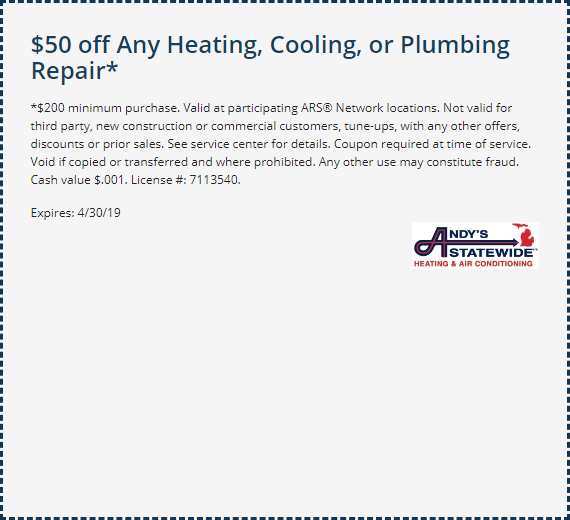 It’s just one more reason we’re not only a leading air conditioning repair team in Detroit, but across southeast Michigan as well.